Recently, I have been dabbling more into the lifestyle type blogposts. Today I have another one for you and it is a recipe that is fresh, light and perfect for summer. All you are going to need is three ingredients. 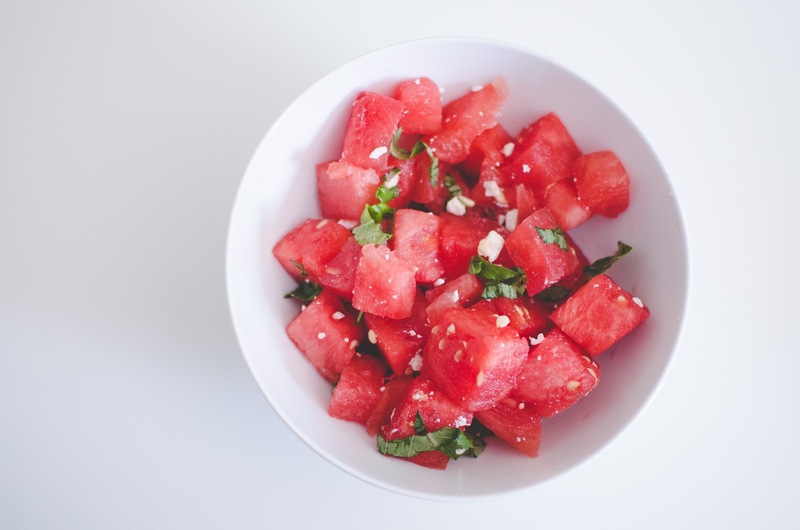 Basil, Feta cheese and Watermelon. No, seriously that is all that you are going to need. The amounts are completely about taste, if you shy away from Basil then just add less. That philosophy applies to all of the ingredients. For mine I used one medium sized watermelon, a .66 oz package of basil, and a 5oz container of pre-crumbled feta (yes, I took the easy route on that). Cube the watermelon, crumble the Feta (unless you are fancy and got the crumbled stuff like moi) and cut up the Basil and mix all together in a large bowl. Initially that combination may seem strange, and trust me when I was shopping for the ingredients I did imagine that this is what a pregnant women having cravings might have in her grocery basket. 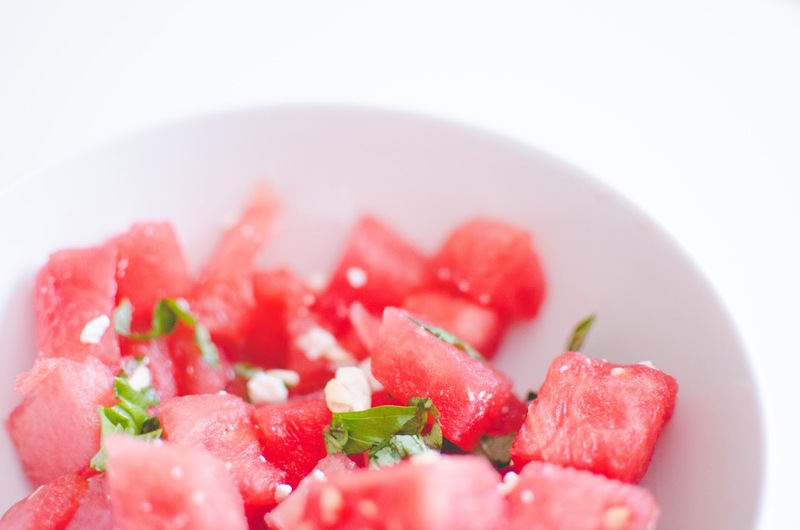 The sweetness of the watermelon, the fresh Basil and savory tang that the Feta gives makes for a side dish that won't have any leftovers. This compliments corn on the cob, sweet tea, barbecue sauce and warm weather, ever so sweetly!